But the first documented theatrical use of St. George’s Guildhall goes back to 1442. This makes it the oldest working theatre in the UK by hundreds of years. 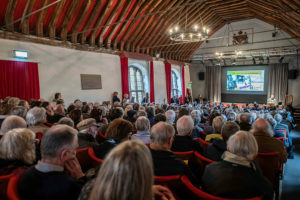 It is in this building that a packed crowd sat on Sunday 27 January 2019 listening to Tim FitzHigham telling us all about the Shakespeare connection and Ivor Rowlands giving us a brief history of the building and its uses in the past. 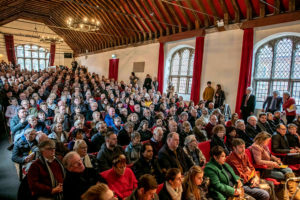 The aims and visions of the recently formed Shakespeare’s Guildhall Trust bring a buzz of excitement to the full house. The pride of the potential jewel that King’s Lynn is starts to be felt. 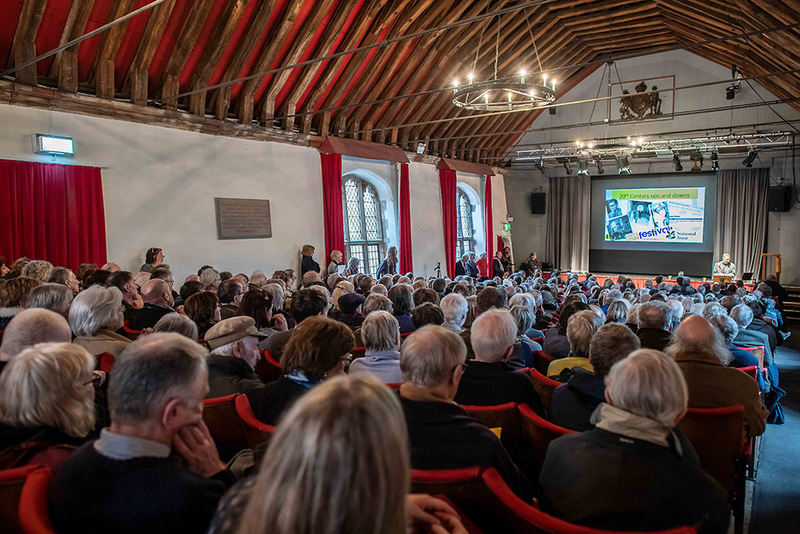 We should also be proud of the long history of royal patronage from Queen Alexandra, Queen Mary who paid money to refurbish theatre in the 50s, the Queen mother, a patron for 50 years and through to Lady Fermoy, grandmother of Diana Princess of Wales, patron of the King’s Lynn Festival. Prince Charles stated on Radio 3 over Christmas his love of music started watching performances on the Guildhall stage. We shouldn’t underestimate the value of living history. 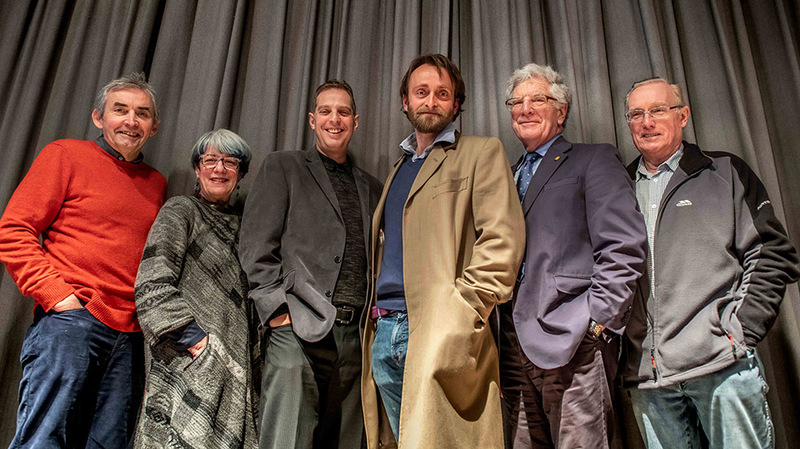 It is not just the theatre that the Trust is talking about, it is the whole arts complex and it must work as a whole. 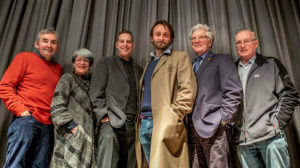 it is the theatre, though, that has the potential to bring the venue to the international level. The interest in Shakespeare worldwide is phenomenal. The Trust plan to maintain all groups that are current users of the complex. “It would be mad not to do that.” says FitzHigham. Work with schools, colleges and an international summer school are being talked about. There needs to be access for all. For this vision, funding is needed. In the short term a feasibility study for the development needs to be realised. The costs are set at £50-100k. In the medium term £5-10m will be needed to transform the complex. Nick Balaam, Chair King’s Lynn Preservation Trust, Heritage Management Consultant. Veronica Sekules, Director of GroundWork Gallery, Author and Art Historian. Ivor Rowlands, Company Director, King’s Lynn Town Guide, West Norfolk Tourism Forum. Tim FitzHigham, FRSA FRGS, Actor, Explorer, Comedian, Theatre Producer. Adrian Parker, Friends of St Nicholas Chapel, Retired Planning Consultant. Michael Hankinson, International Music Director and Composer. Promote the knowledge, understanding, and enjoyment of performance and visual arts through the use of St George’s Guildhall, King’s Lynn. 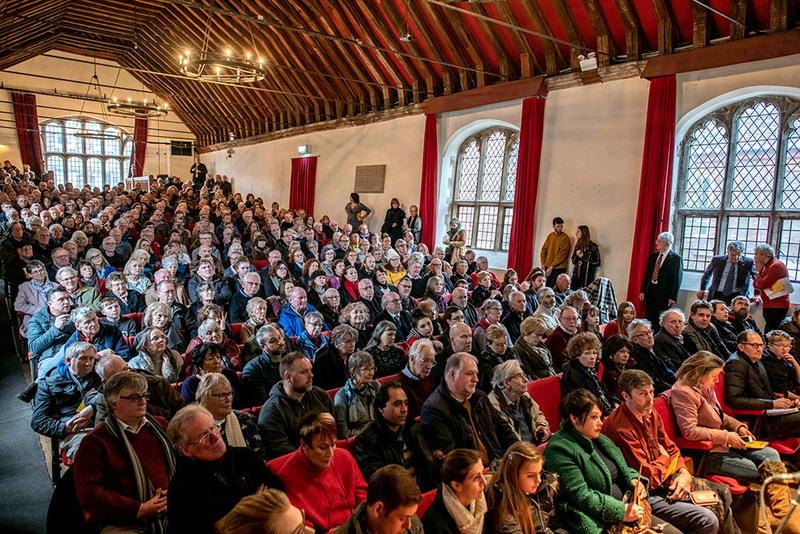 Celebrate and continue its 600 years’ history as a living arts venue. Provide educational and learning opportunities for all.